You’ve heard the phrase “when pigs fly,” but almost equally unbelievable is when donkeys fly. At least that’s how it worked out for Milan. 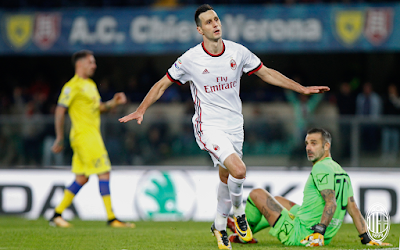 After a long string of poor performances but sometimes getting results, then a string of improving performance without results, Milan’s luck finally switched when facing the Flying Donkeys. It started in the 36th minute, when Suso, being allowed some space in the 3-4-2-1 variation of Montella’s dark obsession with the 3-5-2, sent a beautiful ball in from outside of the box to stun Sorrentino and open up the scoring. 1-0 Milan. Just six minutes later, he did it again, only this time Bostjan Cesar wanted the glory, so in attempting to head it away, he headed it in. 2-0 Milan. That earned him credit for an own goal, but in the stands, Bonucci had a little laugh. I’m guessing he was laughing at the irony that he as a defender should be so heavily criticized when Cesar was heading in goals for the other team. "I was just kidding about you being sensitive and not ready for Serie A"
Just ten minutes into the second half, Kessie sent a ball up for Calhanoglu, who controlled it and then sent it past poor Sorrentino to make it 3-0 Milan. Apparently, Kessie was so excited about the assist, he wanted another one. So in the 61st, he passed it to Birsa, the Slovenian Messi, who slotted it in past a very angry Gigio Donnarumma to make it 3-1 for Milan. Kessie is so young, he probably has no memory of Birsa playing for Milan, so it can’t have been mistaken identity. I’ll just chalk it up to the assist thing. 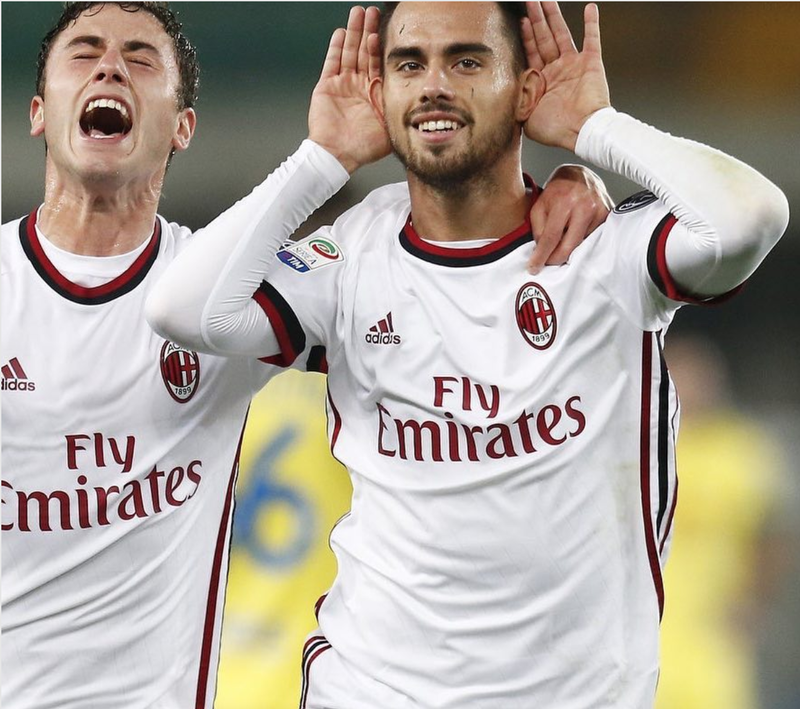 And speaking of assists, Suso would earn one just three minutes later after a nice pass to Kalinic, who sent it in to seal the game at 4-1 Milan. Calabria was taken to the hospital after a head injury he received in the 88th, but after a trip to the hospital, he seems to be okay. Not an ideal way to celebrate a much needed victory. Montella notoriously said last week that he didn’t know which pants went with which socks, metaphorically comparing Milan’s new purchases to a new wardrobe. But the man clearly doesn’t even know how to get dressed. His tactics are so blatantly crippling his players. You see that in a game like this, where Suso, having been stifled most of the season, broke free with a little space and stole the show. Borini is to Montella as Urby was to Allegri. Just because the man is fit doesn’t mean he’s fit to play at any position. And while he was known for being a versatile player at Sunderland, they were relegated. Does that tell you anything? But at least Montella got one thing right. Milan won. He predicted that before the match. Which means he is a better prophet than coach. And he is more in touch with prophesying than he is with seeing what has already happened on the pitch. Maybe that’s his calling? All I know is this three points likely elongated his Milan coaching career. It was an important win for morale, and obviously so important to the goal of returning to Champions League. 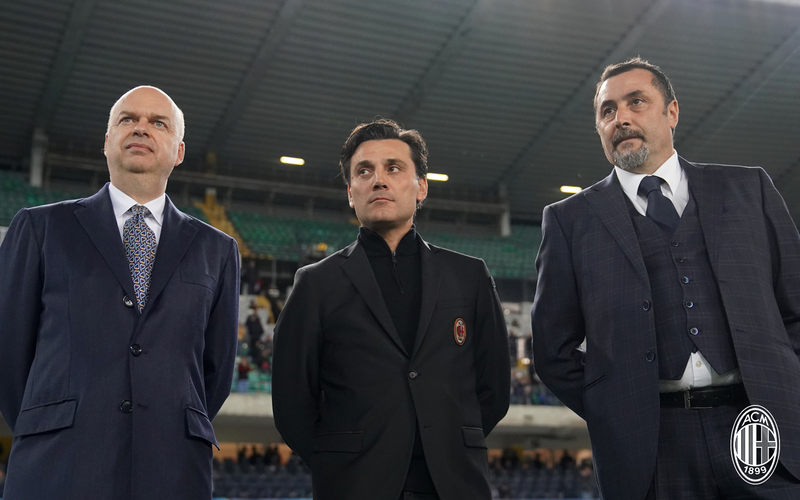 But even in a win, it emphasized that Montella could only be successful if donkeys fly.